Talk of Da Town features the great Motown, R & B, and Doo-Wop hits. As award-winning singers, they have appeared with an impressive array of major artists including Ray Charles, James Brown, Patti LaBelle, the Temptations, Earth Wind & Fire, Carmen MacRae, Dizzy Gillespie, Tower of Power… and the list goes on. For the very best in classic vocal harmony, you can’t go wrong with Talk of da Town! FROM THE PARAMOUNT THEATRE TO THE PALACE OF FINE ARTS, AUDIENCES FROM THE BAY AREA AND BEYOND HAVE BEEN THRILLED TO THE DYNAMIC, SOULFUL SOUNDS OF “TALK OF DA TOWN”. The group continues this great tradition of a cappella singing from the famed gospel quartets of the 1930s and ’40s. By the late 1940s and ’50s the method was transformed to vocal groups, or so-called doowop groups, of which the 1950s produced so many, including such luminaries as the Spaniels, Ravens, Harptones, Five Satins, and the Dells. Later, the style would be revived by the Persuasions, who appeared at the SFBF a few years ago. TALK OF DA TOWN is a vocal group in the tradition of these pioneers and are the leading exponents of a vocal group revival. 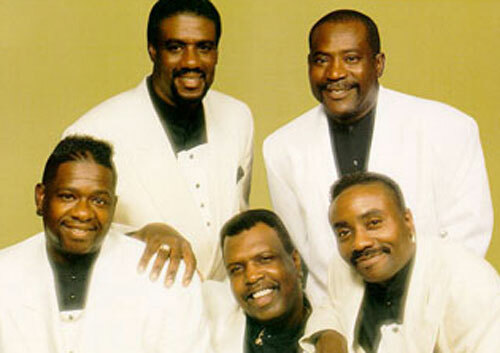 Formed in 1982, TALK OF DA TOWN covers elements of traditional gospel, doowop, swing, and classic-vocal group styles. A WORLD CLASS GROUP AND A WORLD CLASS SOUND! 1950’S MEDLEY/ HIGHER AND HIGHER/ UP ON THE ROOF/ DOCK OF THE BAY…….and many, many, many more!!! This entry was posted in A Cappella. Bookmark the permalink.